Uber is getting rid of a sexual assault policy that critics claimed helped to silence victims. The 2019 Subaru Ascent has an astounding 19 cup holders, marking the pinnacle of America’s love affair with the feature. A Bay Area firm is targeting the very manual, somewhat dangerous world of construction equipment for automation. How Do You Sue a Self-Driving Car? If you’re injured or your vehicle is damaged by an autonomous vehicle, who do you sue, and under what laws? Lawyers are parsing the problem now. Waymo—the Google self-driving car spinoff—is the most recent autonomous manufacturer to be involved in a car wreck. After an Accident, Would You Sue a Self-Driving Car? A recent survey asked motorists if they would sue a self-driving car after an accident. A majority would. What Happens When an Autonomous Car Kills Someone? The picture of legal liability after a self-driving car is involved in a fatal accident is largely undecided and unclear. Are Today’s Laws Adequate for Self-Driving Cars? Where do autonomous vehicles find their place in the legal landscape? As Autonomous Cars Evolve, Can Man-Made Laws Keep Up? 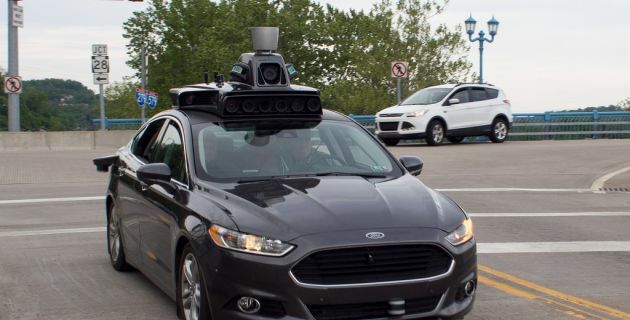 A look into the future of laws around autonomous vehicles turns up more questions than answers as the fledgling technology grows.